Driving in a foreign country can sometimes be stressful, but do not let anyone scare you about driving in Israel! The roads in Israel are pretty good (at least most of them!). By and large the main road signs are trilingual - in English, Hebrew and Arabic. 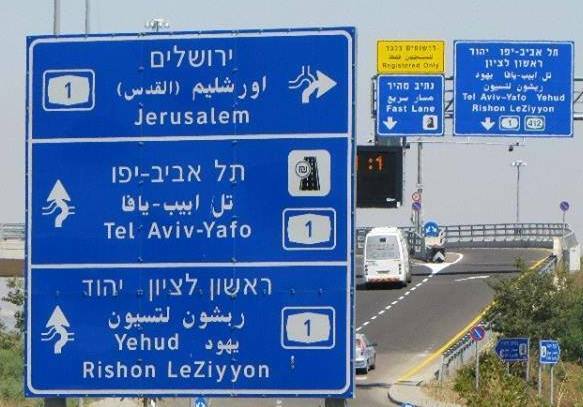 And in any case, we recommend you use the WAZE navigation APP when you are driving in Israel. It covers Israel streets and roads extremely well, and recommends the best route taking into account traffic conditions. Driving and renting a car in Israel is a great choice if you will travel between cities, and especially to areas that have less frequent public transportation options. Places like the Dead Sea, the Negev in southern Israel and the Galilee in the north. On the other hand, within and between major cities like Tel Aviv and Jerusalem, public transportation runs fairly well. In fact, driving in Jerusalem and Tel Aviv during the work week can be a hassle due to traffic and lack of parking. We have to mention something about Israeli drivers. Most drivers in israel don't have a lot of patience. They will beep their horns more than you are probably used to, especially if they are annoyed by the behavior or speed of others. You may need to be a bit more aggressive when you are, for example, changing lanes. You may prefer to stick to the right lane if you are not driving near the speed limit. Try not get annoyed and you certainly have nothing to fear. Israeli drivers aren't violent, just impatient. Take it in stride and keep your cool. To drive an Israel, you need a valid foreign license and you do not need to get an international license. If you live in Israel for more than a year, you must convert your foreign license to an Israeli driving license. If you live in Israel for more than a year, you must convert your foreign license to an Israeli driving license. You can drive from just under 17 years old in Israel. In order to drive a rented car, you have to be between 21 and 75 years old. Driving in Israel is on the right side of the road, like in the US. There are no turns on red, neither left nor right. Turns usually have dedicated turn lights. Traffic roundabouts are very common. You have to get to the cars that are in the circle. U-turns are allowed unless there is a sign indicating otherwise. Traffic lights either blink or flash red or yellow in between red and green. If you can, you can get a ticket on-site at a police officer or it will be issued based on the speed cameras all the time on the major highways. 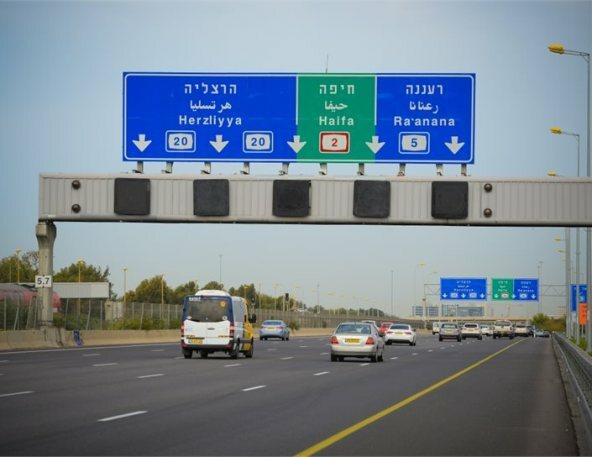 Israel has many speed cameras installed, but in a recent (2018) ruling, many have been declared inaccurate and therefore illegal, for now. Talking on a mobile phone without a hands-free system is prohibited, even at a stop light. 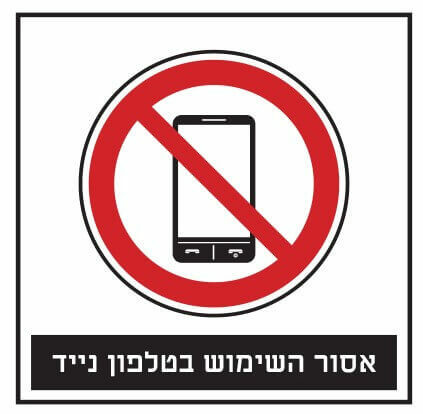 Mobile phones are the biggest cause of traffic accidents in Israel, so you get a very big fine - in thousands of shekels! The drinking and driving limit is much lower than in most other countries, so we seriously recommend that you do not even have a drink if you drive in Israel. The limit is 24mg or alcohol per 100ml of blood, although penalties do not start until 26mg. Drivers under 24 years old have a lower limit of 5 mg alcohol per 100 ml of blood. Police cars may stop you for a breath test, or even a urine or blood test. This usually happens late at night when people are partying. Refusing to take such a test is an offense. All passengers must wear seat belts in the front and back and if you are caught otherwise you will get a ticket and fine. Babies and young children until about the age of 6 and 7 must sit in age-appropriate seats in the back of the car. A yellow reflective vest must be kept in the car at all times and worn when exiting the vehicle on a highway shoulder. If you rent a car, check to make sure the vest is in the car. During the winter months between November and end of March, the main lights must be reversed at all times on highways. Parking on the street is allowed free of charge if there are no parking signs or markings. Red and white or red and yellow markings mean parking is never allowed. Blue and white marking indicates this is paid parking zone. You can park for certain hours for a fee based on instructions that are usually posted nearby. Sometimes the instructions are only in Hebrew so if you are not sure, ask a passerby before you park. Especially in the big cities, if you park in an area that is not allowed, or do not pay you stand a good chance of being towed away! If you parked your car and she misses, it was probably towed. Call '106' which is every city's hotline to get directions on where to find your car. Car parks in Israel's big cities and the easiest alternative if you are not sure where you can park, although they are expensive. Most underground parking places in Israel require a security check that may ask you to open your trunk. Israel has three emergency numbers: 100 for the Police, 101 for Ambulance and 102 for the Fire Department. The best navigation system for use in Israel is Waze which covers practically every inch of the country. Just make sure to arrange for WAZE access from your cell phone operator beforehand. 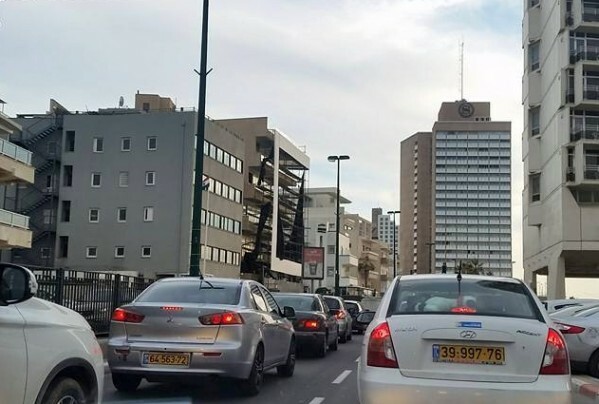 Rush hour in Israel is on Sunday to Thursday between 7 to 9 AM in the mornings and between 4 to 7 PM in the evenings. These are the times to try to avoid driving in the cities. 1. Highway 6 - a super convenient road that traveses Israel from north to south. There are no no toll booths on Road 6. Cars are identified electronically via the license plate or a device in the car. So be aware that bills for a rented car will be sent to the car rental company, which will add a surcharge 'handling fee' that can get pretty expensive. 2. The 'Fast Lane' is a toll lane on Highway 1 from the Ben Gurion Airport area to Tel Aviv. Cars are identified electronically via the license plate or a device in the car. So be aware that bills for a rented car will be sent to the car rental company. You will be charged an additional handling fee. 3. 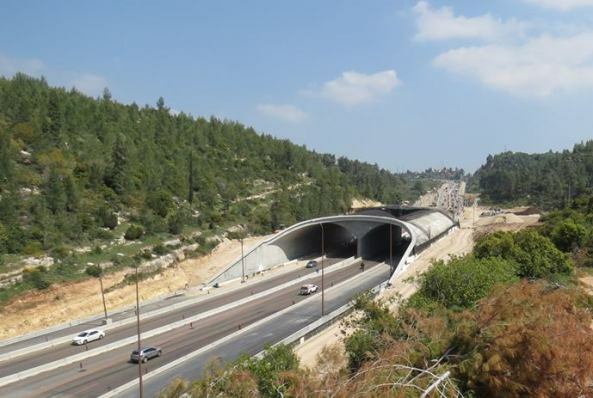 The Carmel Tunnels north of Haifa require you to pay at toll booths before entering the tunnels. 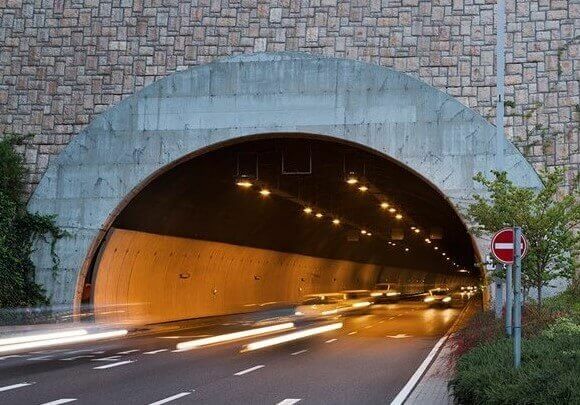 The road signs in the area are mainly in Hebrew, so keep on the lookout for the picture of the tunnels, and as already stated, using WAZE is very useful! Israel has a relatively large number of road accidents on certain roads, especially when there is no barrier between lanes. So drive with caution. 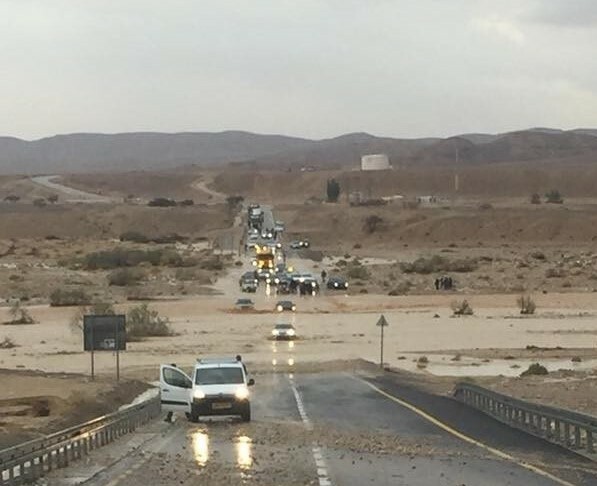 If you drive in the desert area during the winter and jump, check for flash flood warnings for the areas where you plan to drive. They can be quite dangerous in the desert. When driving around, be aware of bikers on their way, especially in the big cities. Many people ride bikes and lots of kids use electric bikes. We recommend that you do not travel from the Green Line in the West Bank. In any case, most car rental companies will not allow you to operate in the West Bank. Gasoline is heavily taxed and is much more expensive in Israel than in the US and Europe so keep it in mind. Police cars flash their roof lights when on duty. If they want to stop, they will use a speaker. Happy Driving and Stay Safe!